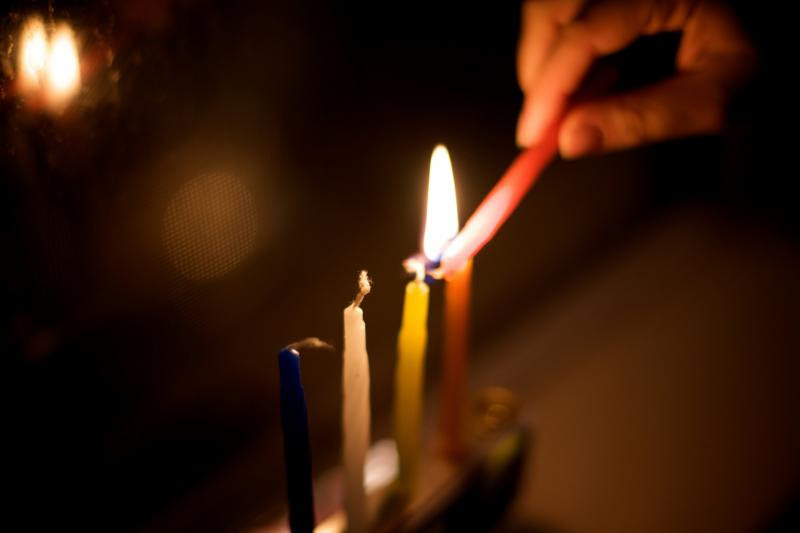 Do you know the blessings for lighting the Chanukah candles? Click here to listen to our very own TBE Cantor Jodi Sufrin sing a beautiful rendition of these blessings! Click here to join TBE members and clergy light the Chanukah candles. Candles are added to the chanukiyah (menorah) from right to left but are kindled from left to right. The newest candle is lit first. (On the Shabbat of Chanukah, kindle the Chanukah lights first and then the Shabbat candles.) Light the shamash (the helper candle) first, using it to kindle the rest of the Chanukah lights. Jewishboston.com hosts, Jesse and Jen, talk Chanukah with Rabbi Josh Franklin of What role does Chanukah play in the history of the Jewish people? What role does it play for modern Jews? How/why does it compete with Christmas? So many questions! This year, celebrate the first night of Chanukah, December 6 at 6:00 pm with your TBE community. Join us in the sanctuary for a public candle lighting, or join hundreds of other families via our live stream from your home. Whether in person or digitally, we hope to connect our entire community together as we all partake in lighting our menorahs. Make sure to share your Chanukah experiences with the community by uploading pictures and status updates to your social media account using the hashtag #TBEfirstnight.